Wickford Railway Station, before the fire, on the 4th November 1998. The fire destroyed the old building on the right which was part of the station. 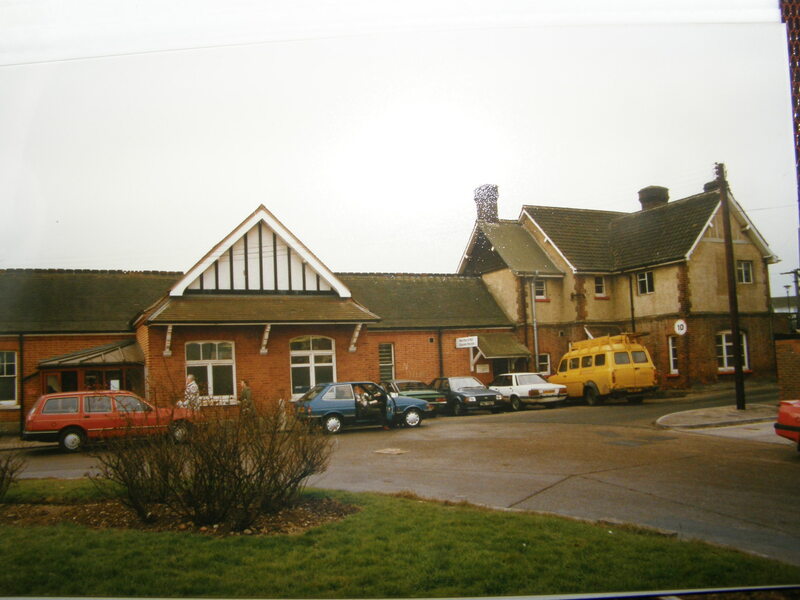 The fire actually only destroyed the upper floor of the building, to the right of the yellow van, the lower red brick part of this building still remains and is in use as part of the station today, with a flat roof. Just before the fire, ironically, this part of the station had been renovated to its former glory.